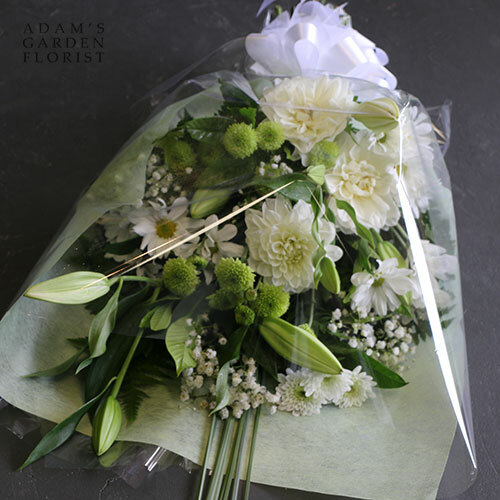 A simple floral sheaf is a traditional way of giving flowers at funeral services, particularly for grave-side tributes. In the past colours were usually pale and subdued, but these days bright flowers are also often selected, as a celebration of the person’s life. It’s really up to your own personal preference. For other ideas on what to send see our shop page for sympathy. Also, if you’re stuck on what to say in a sympathy message, we have some writing prompts here.